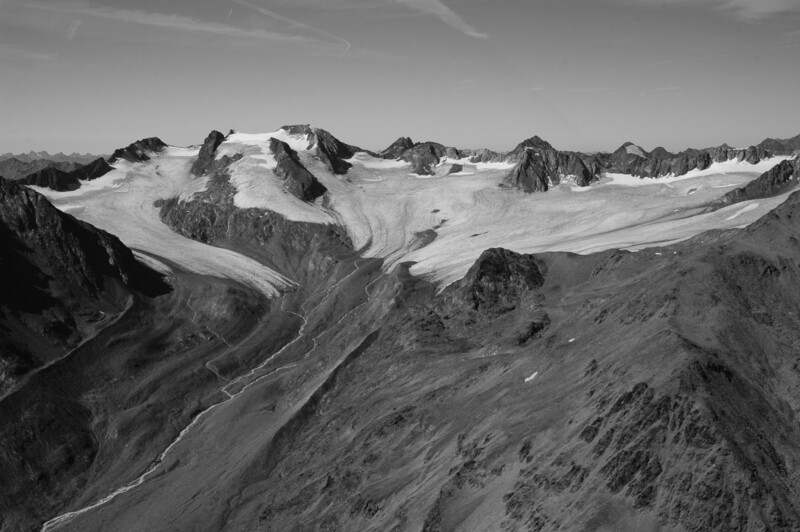 Vernagt Ferner Glacier is a flat temperate plateau glacier situated in the southern part of the Ötztal Alps (Austria) near de main Alpine ridge. 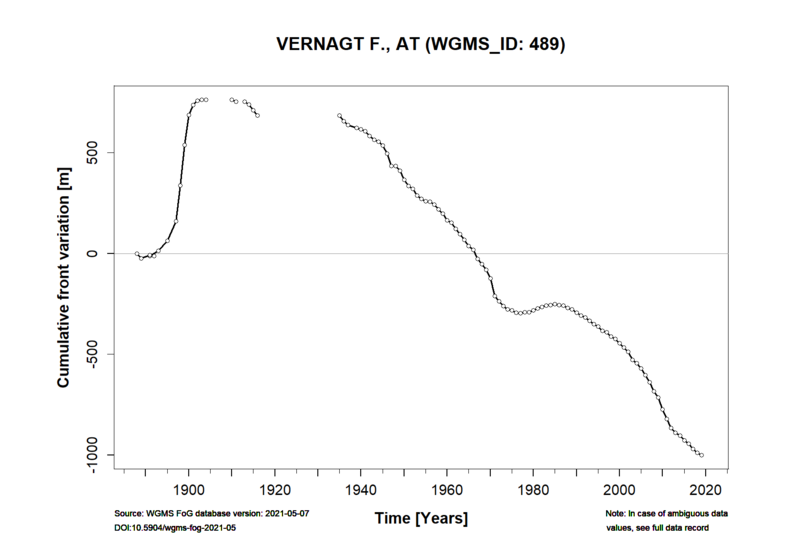 This glacier has been classified as one of the ‘reference glaciers’ by the World Glacier Monitoring Service because it has received continuous long-term observations dating back to the year 1964/65. 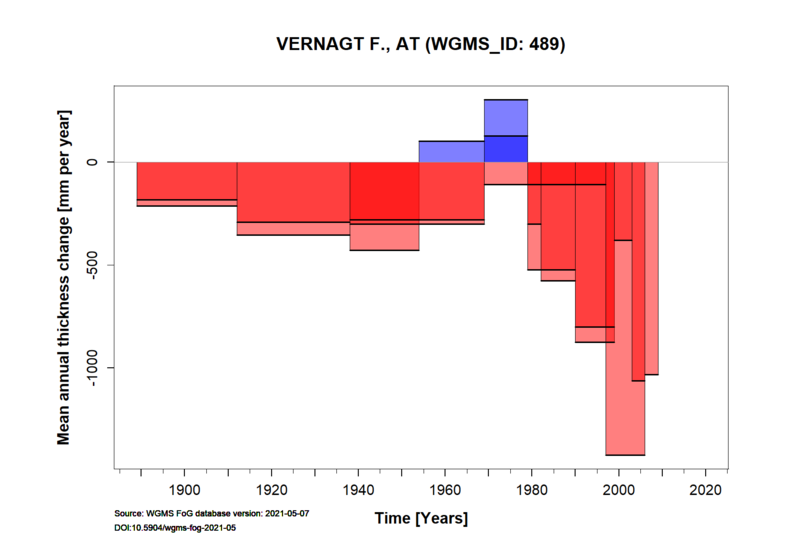 The mean annual precipitation for the Vernagt drainage basin (11.4 km2) amounts to 1550 mm and the mean annual air temperature at the equilibrium line altitude (3065 m a.s.l.) lies between -3.5 and -4.5 °C. 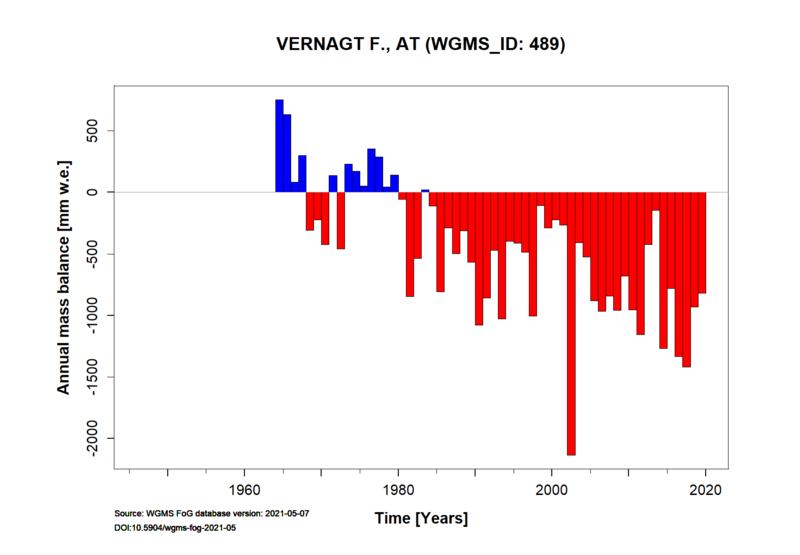 For additional information on the status of the glacier and on data relating to annual mass balance and other measurements, visit the WGMS Fluctuations of Glaciers Browser. Height min: 2800 m a.s.l. Height max: 3628 m a.s.l.